At the outset allow me to congratulate you on the leadership you have shown in the work of the Executive Board. I also wish to express my appreciation to Ms. Anne Venneman for her comprehensive presentation on Monday of progress and achievements set against the medium-term strategic plan. Finally I would like to thank Mr. Toole for his presentation of the new Afghanistan Draft Country Programme. 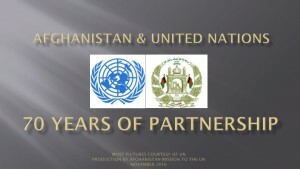 UNICEF has shown an admirable dedication to its work in Afghanistan. UNICEF has long been a primary partner of the Government of Afghanistan in ensuring progress of all MDGs relating to children, especially important to our country because 68% of the Afghan population is under 25. We continue to value our partnership with UNICEF as we fight together to provide Afghan children with better lives. The Government of Afghanistan welcomes the new draft country programme. We believe that it outlines an effective framework for partnership between the Government of Afghanistan and UNICEF in terms of aligning policies and funding with the priorities identified in our National Development Strategy. Its budgeting is well-balanced and correctly identifies priority areas. We particularly value UNICEF’s focus on integrated early childhood development, girls’ education, child education in general, and emergency preparedness and response. Our priorities are tested by recent challenges: a deterioration of the security situation, the humanitarian and food crises, and increasing poverty. The Taliban disproportionately harms the most vulnerable, particularly women and children. The insecurity they cause also impedes the achievements of MDGs 2 and 3, and obstructs access to basic services such as safe water, healthcare and education. Mother and child mortality in Afghanistan remain among the highest in the world. With respect to education, as of September 2008, around 640 schools around the country are closed, including 58% of the schools in Kandahar province, and all of the girls’ schools in parts of Farah province. In the 10 months between May 2007 and June 2008, 161 teachers and students were killed, 57 through suicide bomb attacks, and 112 schools were burned. In the winter of 2008, security deteriorated even further, and in January 2009 there was a 75% increase in the number of incidents compared to a year earlier. Deliberate attacks against female students and teachers are typically particularly barbaric, including the acid attacks last fall, and the recently alleged attacks by poison gas. Despite these challenges, Afghans still believe that education provides the best hope for a different future. From 2002 to today we have seen an increase in the number of children in school from 1.78mil in 2002 to 6.14mil in 2008, of which 2.19mil are girls. Still, only half of school-age children are enrolled in school, and there is great disparity in enrollment between urban and rural children. Thus we commend UNICEF’s approach in focusing on community-based schools that increase access to education. We also encourage the donor community to continue building schools and, particularly, training teachers, in support of the Afghanistan National Education Plan. 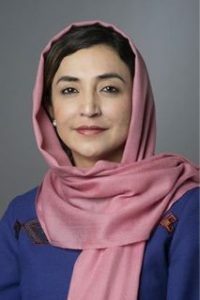 Since only 15.5% of women in Afghanistan are literate, it is particularly essential to train female teachers, and to raise an awareness and advocacy program for local community and religious leaders to stress the importance of educating women. In addition to education, we must strengthen the state of Afghanistan to protect our children from the Taliban, who have been identified as a group that recruits children for practices such as suicide attacks. Cooperation between UNICEF and the monitoring and reporting mechanism for children and armed conflict could ensure wider access to information regarding child recruitment. Our government is also currently preparing its first progress report on the Convention on the Rights of Children. Child labor is a particularly difficult issue in Afghanistan, where poverty and social pressure can push children to leave school into exploitive work. Our Parliament is currently discussing the ratification of Convention 182 on elimination of the most serious forms of child labor. In addition, we are revising the juvenile code. UNICEF can provide valuable assistance to our Government in all this work. The situation in Afghanistan and the region is more and more precarious. Violence in our region threatens to push more refugees into our country. UNICEF will be crucial to providing these people with urgently needed assistance. To coherently adapt to the changes of the situation, we will need coordination between the members of the UN family, the donor community, and the government of Afghanistan as we work towards improving the lives of children in Afghanistan.